Founded in 2008, Talentology Training Company believes that it is in the business of transforming people, not transferring information. We commit to providing performance-development training programs that address the actual marketplace needs, in a practical & entertaining way. 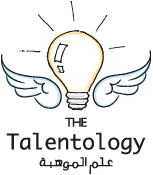 Talentology's main focus is on youth, whether students, fresh graduates or employees. We commit to quality training programs that are made to stick!